Yoox not only brings everyone gorgeously made clothes at a very reasonable price, but they also from time to time collaborate with artists to beautify one's environment. 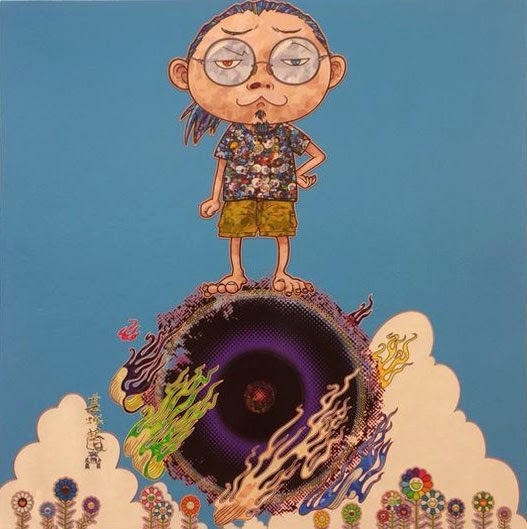 Case and point: The latest Yoox art collaboration is with Takashi Murakami who needs no introduction with fashion crowds. After all, who can forget Louis Vuitton bags with printed flowers, pandas, and jellyfish eyes? Takashi made two exclusive prints for Yoox this time around. Typically his print editions are 300 but in this case, it is only 100! Usually smaller the edition, higher the price a print commands. However, in this case, these limited edition prints are only $585 each. A similar size Murakami prints at 300 editions usually starts from $1000 and up unframed. These smaller editioned prints are not only cheaper than the price he typically commands, but they are also framed. I anticipate these prints will go very fast so get them while supplies last!